MamaBreak: Grow Your Own Mushrooms . . . In the Middle of Winter! 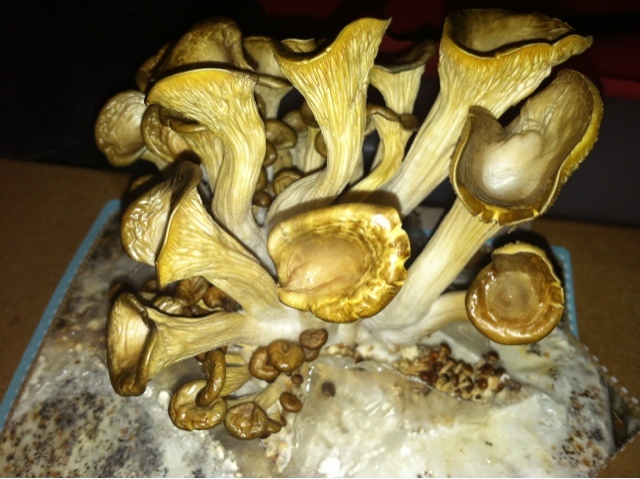 Grow Your Own Mushrooms . . . In the Middle of Winter! We live in an extremely cold climate, and it starts to get cold very early here. This is a picture of our home . . . in OCTOBER! 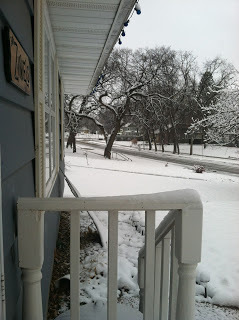 My kids LOVE to plant things, but planting outside can only take place for a few short months. Planting inside has always been a pain, as the kids often over water or under water (and often forget). 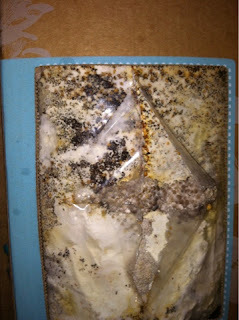 We did not have to really worry about any of that with the Grow-Your-Own Mushroom Garden kit! Everything you need comes in a neat little box. You simply lift one of the panels up, cut two slits into the plastic, and "spray" the area with water twice a day. The twice a day worked out well for us, as it was the 9 year old's job to water in the morning, and the 5 year old's job to water in the evening. They absolutely loved watching them grow. And boy did they ever grow! After ten days, we cut them and threw them into a stir fry! The kids ate every last one of them, as they were so proud that the mushrooms were "theirs." We had a great time growing and eating our own home grown food in the middle of the cold and ice! 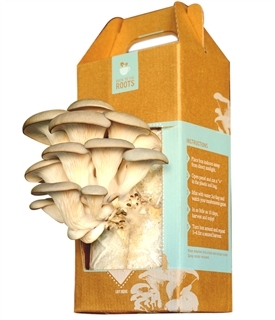 We cannot wait to flip the box over, where we can grow a whole new batch of mushrooms!